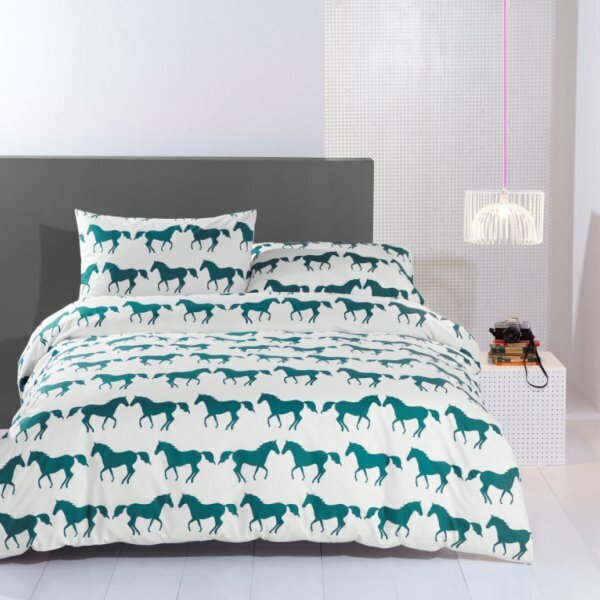 "Oh my goodness, I absolutely must have a brand new kissing horses duvet set." That's not something I expected to say, but I find myself staring at this bedding and thinking how splendid it is. The kissing horses have popped up on towels before (Kat's smitten with the towels), and they tread a very fine line between quirky and classic - that's not very easy to do. I think it's the bright teal that makes it work so well. This set is also one of the most affordable parts of Anorak's range - the double duvet cover (complete with pillowcases) is just £55. Now if only Anorak could be convinced to do a range of proud fox bedding.